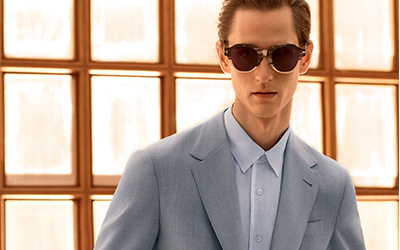 Stripes, whether vertical, horizontal, chalk or pin, have always been a canon of men's suiting, creating movement, balance and contrast to a look. This season, this motif is featured on a sophisticated dark blue suit and paired with a striped knit tie and shirt with contrasting collar for a truly unique aesthetic. 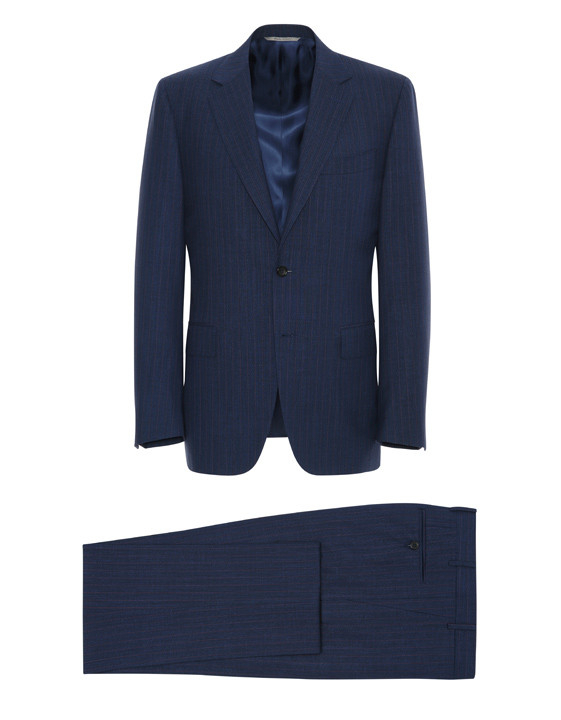 This Venezia suit comes in an eye-catching blue hue and features subtle Bordeaux pinstripes that add a refined and dynamic touch to the look. 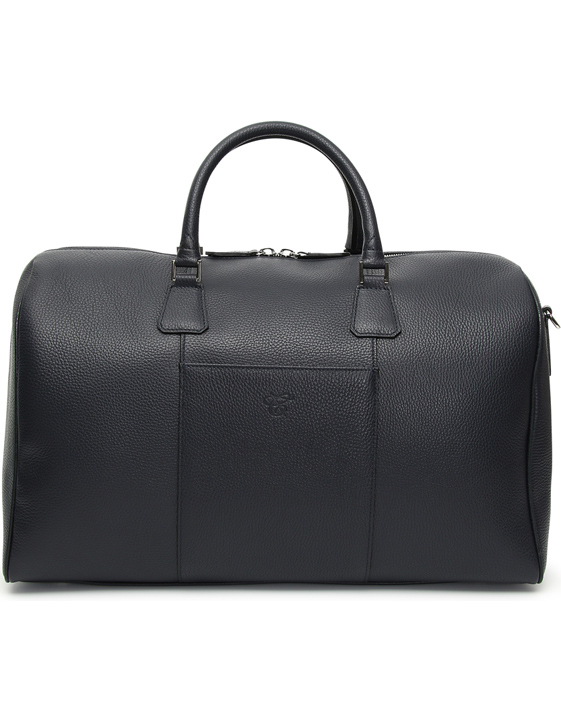 Created from a luxurious Impeccabile wool, this style is perfect for the man who is constantly on-the-go thanks to a series of characteristics that will leave you looking sharp from morning to night. 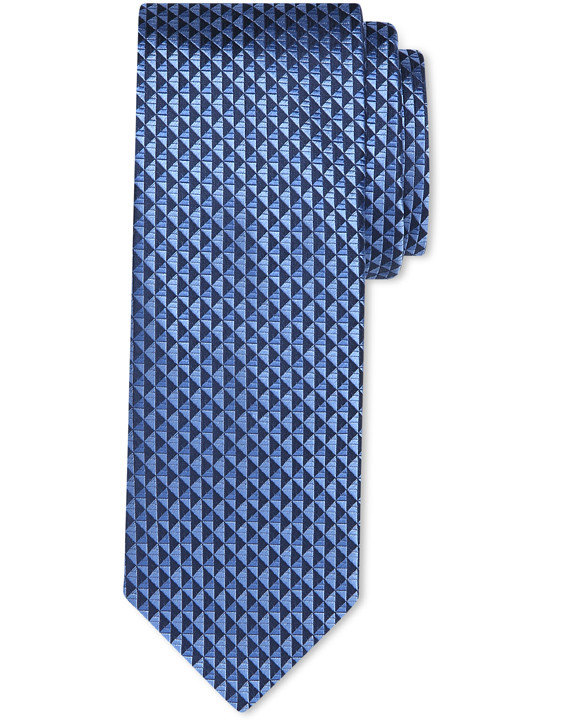 This elegant silk tie is characterized by a geometric motif in shades of blue for a stylish accessory that will add refinement to your work week ensembles. 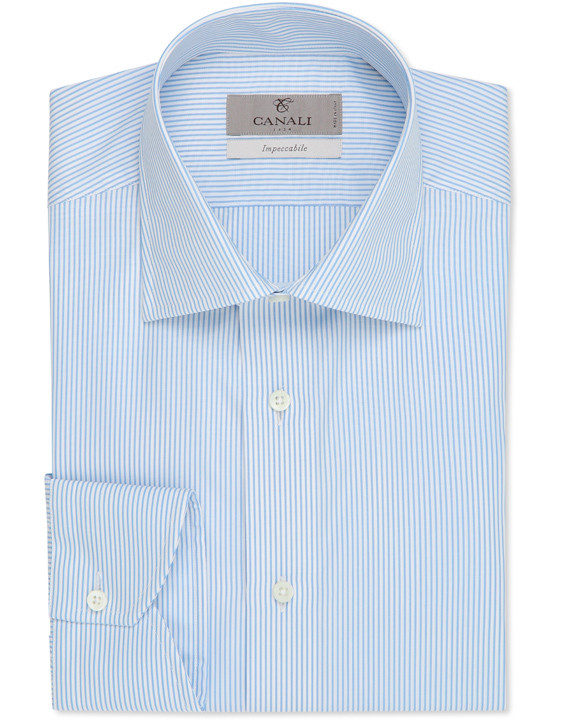 Pair with a colorful pocket square for a contemporary finishing touch. 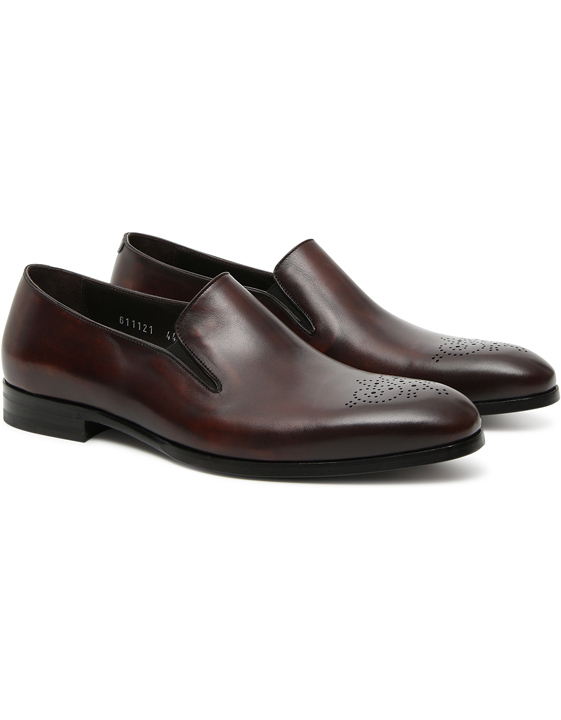 These loafers are a contemporary take on the dress shoe. The style features a decorative medallion on the toe and a distinctive finish that lends a vintage feel to the shoe. A leather sole and small elastic insert on the upper add elegant and practical finishing touches, making for an accessory that will quickly become a go-to in your work week ensembles.